Bring out the creativity in your children by giving them the gift of colours. Whether they prefer to use crayons, markers, washable paints, or colour pens, there's no stopping their imagination and in fact, they can put this into their drawings and sketches for everyone to see. Crayola has also released other items such as activity kits, chalks, doughs, colouring pages and several others which can also allow children to enhance their artistic abilities. Get the best deals and the cheapest rates by using voucher codes + special offers from Very, WHSmith, Debenhams, ebay, Hobbycraft, Wilko, Tesco and The Entertainer. Crayola Neon Markers - Only 25p! Crayola Washable Paints - HALF PRICE! Crayola Beginnings Super Washable First Markers 8 Pack - £0.80 Less! Enjoy huge savings on your favourite Crayola products only here at Latest Deals! Crayola is the most popular crayon brand in the world since it was introduced in 1885 by the Binney & Smith Company. Now named Crayola LLC, it has become bigger. It is a handicraft company that specializes in making artists' supplies. Crayola LLC also makes chalk, pencils, paints, modelling clays, markers, and more. They are best known for their crayons which has been a constant companion as our kids are growing up. The best thing about Crayola products is that they are safe for children to use and they are nontoxic. Crayola Crayons are sold in over 80 countries. 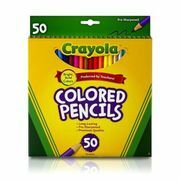 Crayola packs vary in package counts and they are sold in various establishments including bookstores and supermarkets. Crayons are even handed to young guests in hotels, and restaurants. Crayola Crayons come in various colours which improves the child's colour coordination and enhances their imagination and creativity. Crayons are tools to make a child's learning experience easier. Basically, young students are required to bring colouring tools to school to make beautiful artworks and improve their intelligence and artistic abilities. Where Can I Find Cheap Crayola Deals in the UK? When it comes to cheap Crayola deals, you definitely came to the right place. Here at Latest Deals, you will find the best Crayola offers, vouchers and discount codes available online. 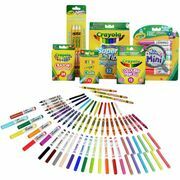 Crayola art sets are essential school supplies to help your child in their learning and development, that’s why our community of bargain hunters has searched long and hard to get you the latest Crayola ultimate tub of colour deals. Crayola mega activity tubs can be purchased from your favourite UK retailers including Tesco and Amazon. There are lots of learning tools that you can buy, including Crayola pens, crayons, watercolour, paints, and more. You can even save as much as £5 when you buy a Crayola art case at Argos. This is only one example of how you can save money on your Crayola tub and crayons purchases. Just use the latest Crayola UK deals upon checkout and you can get discounts and even Free Delivery offers. Be reminded to check the items that you are going to buy before finalizing your order to avoid any problems with your purchases. Buy your crayon sets today and let your child enjoy his/her learning experience. 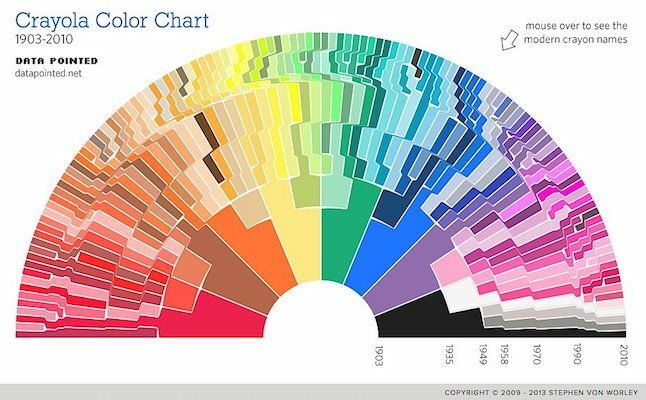 What are the most popular Crayola Crayon colours? Which is your favourite Crayola crayon colour? A survey that was conducted in 1993 states that Blue was voted as the most popular Crayola Crayon colour. The top ten colours also include red, violet, green, carnation pink, black, turquoise blue, blue-green, periwinkle and magenta. In 2000, they did another Crayola colour survey and most people picked Blue as their favourite colour. There were also six shades of blue that were included in the top 10 list including cerulean, midnight blue, aquamarine, periwinkle, denim and blizzard blue. Other colours that completed the list of top 10 favourites are the purple heart, Caribbean green and cerise. Crayola Crayons come in different colour shades so that you will have many options and colours to choose from. Every colour has a different shade which makes your work unique. Combined with your artistic ability and the different colours available, you can make beautiful artworks that will make you feel accomplished and happy. You can also share your talent and show everyone your masterpiece. No matter what your favourite colour is, use different colour combinations to make your artwork more unique and stand out. The iconic crayon company Crayola has joined the beauty industry with crayon-inspired products. When summer break ends, children get ready for another school year and they prepare their things and buy school supplies. A student’s school supplies list is not complete with a box of Crayola Crayons. 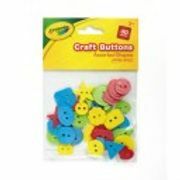 These learning tools help in the development of a child's creativity and artistic ability. The word crayon comes from the French word “craie” and “ola” which means oily. The idea of mixing wax with a colour pigment was taken from the Ancient Egyptians where they combined beeswax and mix it to colour pigments to colour stones. This method was also used by Greeks, Romans, and indigenous people in the Philippines. Today, crayons are made using the same concept but it is intended to be used for educational purposes. Modern-day crayons are non-toxic and easy to use. Crayola Crayons is one of the most important learning tools.